We continue to lead the political world in demonstrating the power of live video in the internet. 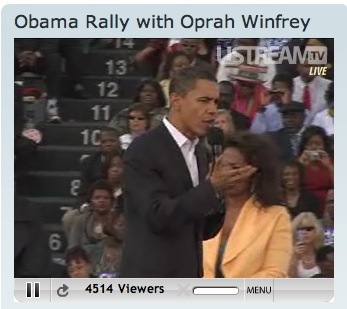 People interacting and watching live is democracy in action. This past weekend was no exception. 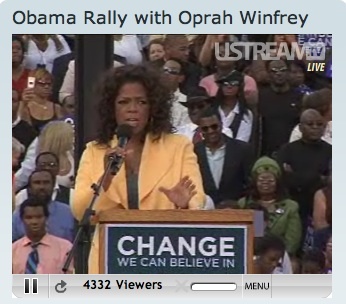 Senator Barack Obama rallied with TV star Oprah Winfrey live from South Carolina on Ustream. The rally had nearly 80,000 people in attendance and the live stream almost matched that with close to 77,000 views over the course of the 4 hour rally. Currently the archived video has about 43,000 views. 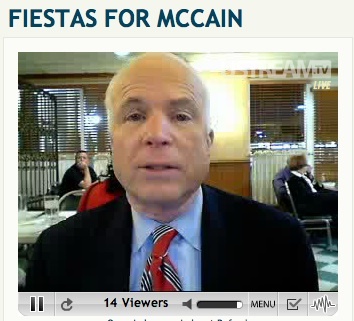 Republican Senator John Mccain also streamed live this past Sunday to 14 house parties across the country dubbed “Fiestas For McCain.” The private webcast allowed various house parties to interact and speak with Senator McCain in real time.